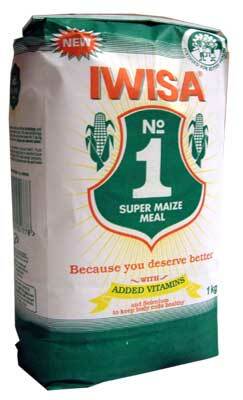 The number 1 super maize meal made from milling degerminated maize is part of South African culture. It can be used for every meal, is great for family celebrations and braais. Iwisa is fortified with vitamins and minerals, including vitamin B12, pantothenic acid and selenium for better health. Thiamin (B1), Riboflavin (B2), Folic Acid (B), Rentinol (Vitamin A), Selenium, Vitamin B12. Soft, fluffy and very tasty pap. I enjoyed eating it with braai meat for the first time in four months in the UK. I am happy to finally find a product that reminds me of home. Awesomeeeeee!